ELM or Entry Level Master's programs are the future, that is a done deal. So moving forward we want to discuss what Athletic Training Education will look like in the future with Dr, Mark Merrick, President of the Commission on Accreditation of Athletic Training Education. What is the CAATE currently working on? What do you foresee in the future for Athletic Training Education? This entry was posted in Podcast and tagged ELM, Entry Level Masters, Mark Merrick on March 16, 2016 by Host of The SMB. Dr. Mark Merrick stops by the amazing MAT program at the University of Houston before the 2015 SWATA convention. 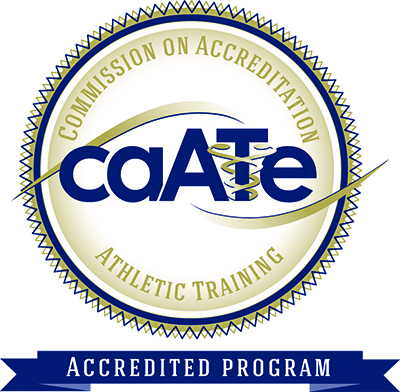 He is the president elect of the Commission of Accreditation for Athletic Training Education. This is an on-site interview that misses some of the studio quality but is great on content. This entry was posted in Podcast and tagged CAATE, ELM, Entry Level Masters, keeping up with the jonses, Mark Merrick, Masters degree on September 17, 2015 by Host of The SMB. Bob Marley allowed us to record and interview the guests of the Memorial Hermann 13th Annual Sports Medicine Update. In the course of two days we conducted about 24 interviews, streamed live for about 16 hours, and had a lot of help from Dr. Josh Yellen, Dr. Mark Knoblauch, Bill Hale, former student / future Athletic Trainer Jazmin Dozal, and current SAT Sarah Avina. Here is our first interview with Dr. Walter Lowe, team physician for the Houston Texans, Houston Rockets, and U of H. Since this recording comes from a live conference, some elements are lost due to lack of visual props and some crowd noise can be heard. The stellar content more than makes up for the difference in sound quality. This entry was posted in Podcast and tagged #TheSMB, Bill Hale, Bob Marley, Dr Knoblauch, Dr Yellen, ELM, Entry Level Masters, Jazmin Dozal, Jeremy Jackson, Josh Yellen, Live, Masters of Athletic Training, MAT, Memorial Hermann, On site, Sports Medicine Update, University of Houston, Walter Lowe on June 27, 2014 by Host of The SMB.